The American Association of Museums announced that Bonnie Pitman ’68, the Eugene McDermott Director of the Dallas Museum of Art, is the recipient of its Award for Distinguished Service to Museums for 2011. Pitman received the award May 25. 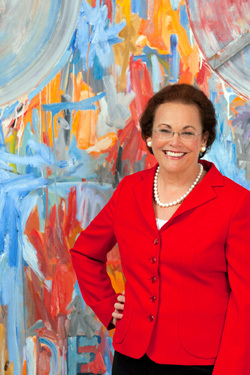 Pitman graduated from Sweet Briar with a Bachelor of Arts in art history and earned her master’s at Tulane University. She announced last month that she is stepping down from her position at the Dallas Museum for health reasons.